It's been a while since we've indulged our love of everything skulls. 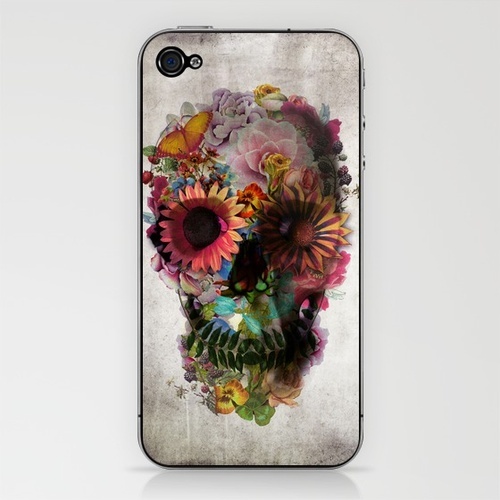 We are especially fond of this image, as it incorporates a skull, but is composed entirely of beautiful garden imagery. We've posted the available iPhone case, but the work started life as an art print, which is also available here.